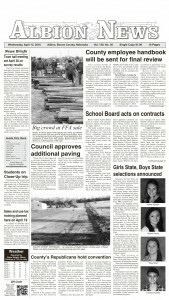 Boone Central School District voters will decide on a $20.85 million school bond proposal at the primary election ext Tuesday, May 15. 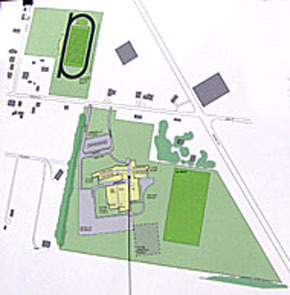 The facilities proposal includes land acquision and construction of a new high school at Albion, renovation of the present Albion school building to serve as a pre-kindergarten, elementary and middle school, construction of a 500-seat fine arts auditorium as part of the high school building complex, and renovation of the school district’s existing outdoor athletic complex. Based on the school district’s current valuation of nearly $676 million and financing over 20 years at three percent interest, the bond repayment would result in an additional property tax levy of about 22.72 cents per $100 of valuation. Details in the May 9 Albion News & Petersburg Press Print & Electronic Editions.